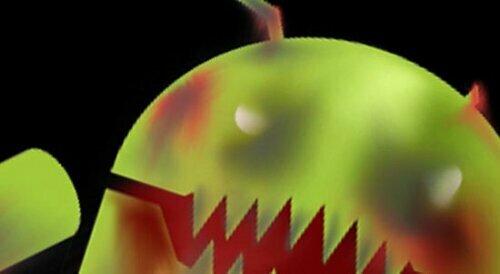 A vulnerability mostly affecting older versions of Google’s Android operating system may make it possible for attackers to execute malicious code on end-user smartphones that use a wide variety of apps, researchers said. The weakness resides in a widely used programming interface known as WebView, which allows developers to embed Web-based content into apps used for banking, entertainment, and other purposes. Many apps available on the official Google Play market don’t properly secure the connection between the WebView component on a phone and the Web content being downloaded, researchers from UK-based MWR Labs recently warned. That makes it possible for attackers who are on the same open Wi-Fi network as a vulnerable user to hijack the connection and inject malicious code that can be executed by the phone. Google representatives declined to comment for this story. Einar Otto Stangvik, a security consultant with Indev.no, said he has identified Android banking apps used in Norway that are also open to remote-code attacks that make users more susceptible to phishing attacks. He theorized that attackers might exploit the weakness by planting malware on a target’s PC that hijacks a smartphone when both devices are connected to the same network. The reports of the weak apps come almost a year after two academic reports uncovered wide-ranging deficiencies in the cryptographic protections in smartphone software. One found that Android apps used by as many as 185 million people contained holes that leaked login credentials and other sensitive data even though they were supposed to be protected by SSL. The other revealed a variety of apps running on Android and PCs that were fooled by fraudulent SSL certificates. It’s possible that similar defects could fail to protect code exposed in WebView objects even when developers think they’re properly contained inside an SSL channel. While the vulnerability is potentially serious, there are several limitations that minimize the damage attackers can do when exploiting vulnerable apps. Chief among them is the fact that Android’s permissions and sandboxing mechanisms prevent most Android apps from installing other apps without explicit permission from the end user. That will probably prevent the technique from being used to install malicious apps in most cases. As a backup, the “Verify Apps” setting available in all versions of Android could also be updated to stop malicious installations should attackers find a way to bypass the permissions and sandbox protections. What’s more, Tim Wyatt, director of security engineering at smartphone security provider Lookout, said some researchers may be exaggerating the threat of attackers obtaining root privileges unless they can exploit a second, unknown vulnerability in Android’s permissions and sandbox protections.